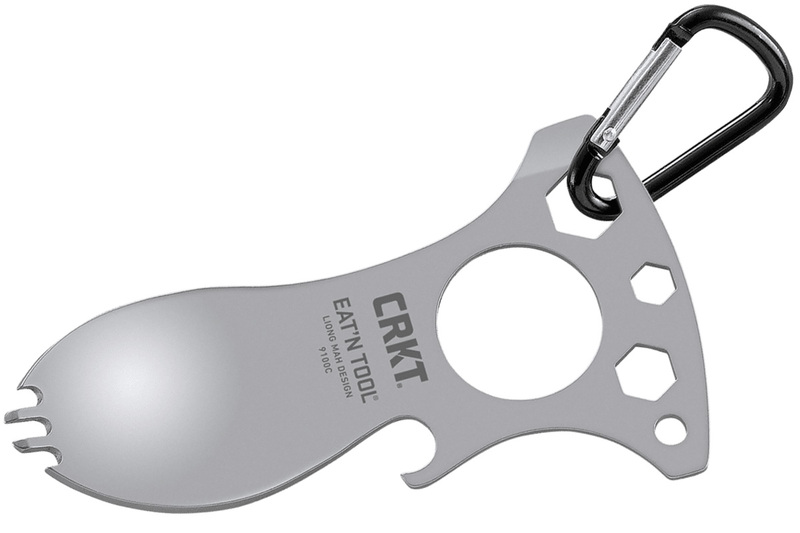 The Eat'NTool is the brainchild of designer Liong Mah of Palm Bay, FL. 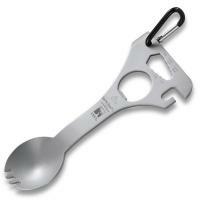 At first glance it looks like the familiar spoon/fork "spork" combination, but Liong has used his ingenuity and computer-aided design skills to create a lightweight, high-tech outdoor tool. 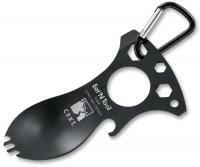 A large central hole is not only designed for finger gripping, but it also keeps the Eat'N Tool weight down. At just 1.5 ounces (43 g) this multi-tool doesn't just look good on paper. In its attractive chrome color it looks good to the eye too. CRKT means Quality. All CRKT knives and tools are built incorporating the most advanced equipment and production systems available, and quality is controlled from beginning to end. Knives are built the way they should be builtÂwithout compromising quality in any part of their creation. CRKT accessories are crafted to the same standards as the knives, so that each sheath, for example, lives up to the customersÂ high expectations. 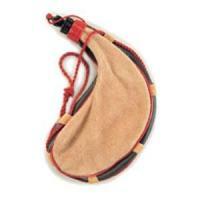 Gekkota Pocket and Golf, the ExiTool, Ta-Bar Tool, Norfork Diver and Whitewater, and Klecker NIRKÂ all exciting and unusual. At the same time, it continues to broaden itÂs traditional knife models, including for the first time, Classic pocket knives, as well as the Centofante Tribute, Carson M4-02 series, and the Delegate and Vertex lines. CRKT Limited Lifetime Warranty: This warranty covers any defects in materials or workmanship. If one of our knives ever breaks or fails because of material or manufacturing defect, weÂll replace the knife. This warranty runs as long as you own your knife. Coverage ends if you sell or otherwise transfer the knife to someone else, or if your CRKT knife is modified in any way.